As part of a redesign to Google Play, select apps are now able to be tried without having to download and install them. 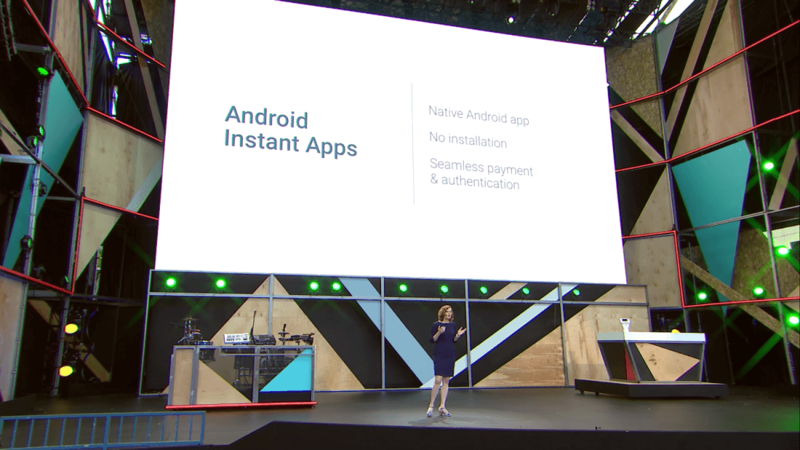 Google Play Instant allows smartphone owners to simply tap an app in the Play Store and immediately begin playing. Currently only a limited number of apps support the new instant play feature, but the number is expected to grow over time. Games such as Clash Royale, Solitaire, Final Fantasy XV, and Words With Friends 2 are among the first to be played without downloading. The Google Play Games app has also been redesigned. A new Arcade tab has been added to view trailers and games with specific tags. YouTube videos and news are also now a part of the app. Related tutorials, commentary, and videos that Google has deemed relevant will appear alongside games. On desktop, the Play Store has also received some minor UI adjustments. There is a new preview function that is better optimized for touch screen devices. When viewing screenshots, full screen display is now possible provided the monitor resolution allows for it. For users with multiple Android devices, installing apps remotely to them is now less confusing. Apps can be installed automatically to a remote device by selecting the desired device from a drop-down box. Although only a very minor change, it certainly makes managing a household full of devices a little easier. All of Google's Instant Gameplay apps can be viewed and tested here. As more apps are supported for instant play, they will be added to the same promotional page.